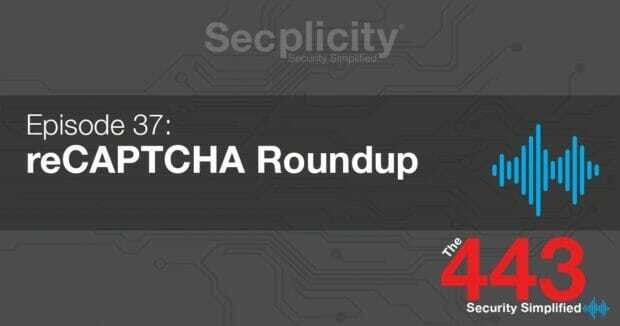 This week on The 443 – Security Simplified, we discuss two news events involving bug bounties. The first event involves a security researcher withholding details of a critical flaw in Mac OS because of Apple’s lack of a bug bounty program, and the second involves a researcher that was allegedly assaulted by a vendor while following up on promises of a payment. After that excitement, we jump in to the world of CAPTCHA, including where it started and how its evolving.